The Insolvency and Bankruptcy Code is over 2-years old now. It is one of the most significant reforms to take place in recent years. The present Indian government which had to face a lot of flak for the poor implementation of GST must be lauded for the efficient manner in which the bankruptcy and insolvency act was enacted. In fact, this new law is the main reason behind the country’s giant leap in the ease of doing business rankings. The objective behind the framing of the new regulation was to eliminate the numerous laws that were earlier governing bankruptcy in India. The government also wanted to give some relief to stressed lenders and resolve the problem of rising NPAs. the new law is definitely a step in the right direction but it still needs some modifications to make it more effective. In this article, we are discussing the major challenges being faced by the regulation. 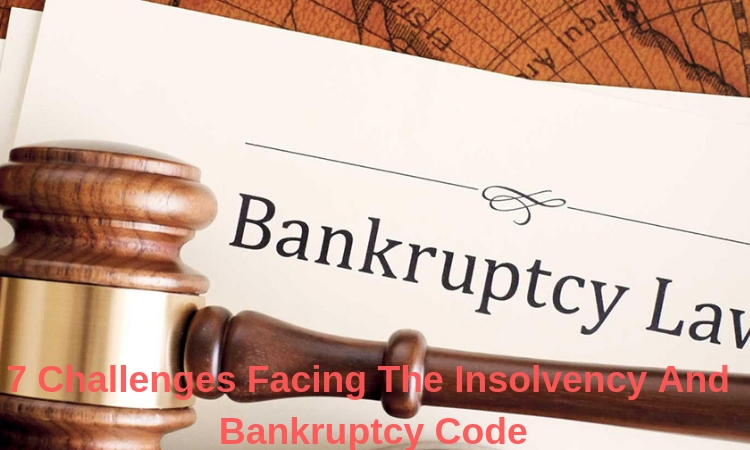 The law states that once the appeal for insolvency against a debtor is accepted, it must be taken to its logical end through an insolvency resolution procedure (IRP). A critical part of the procedure is the bidding for the stressed assets which can help repay the debts owed to the creditors. A problem related to the bidding process is being seen. Questions have been posed regarding the eligibility of bidders in some cases. Debtors have argued that bidding entities which are already identified as debtors with NPAs must not be allowed to be a part of the process. This has affected the smooth conduct of the entire resolution procedure. One of the most helpful features of the code fixing a time-limit for settling the cases. The law explicitly mentions that the process must be finished within 180 days. This period can be extended by a maximum of 90 days. However, it is being seen that a large number of cases are going beyond this specified timeline. The rating agency ICRA recently released a report about the prescribed timeline of the law. It says that 31% of the cases have gone over the 270-day limit. The report also states that 18% of ongoing cases have gone past the 180-days deadline. A serious problem affecting the efficiency of the code is the increasing number of litigations related to the cases. All the interested parties have different interpretations of the law which leads to disputes. All entities like bidders not allowed to bid for a stressed asset, debtors protesting against a bidder or contesting the relevant tribunal’s order, have taken matters to courts. This is the biggest cause of breaching of the specified time limit for resolution processes. It is also causing unnecessary expenses and only increasing the problems of lenders. The Insolvency and Bankruptcy Code directs the appointment of an Insolvency Professional (IP) in each case who works with the committee of creditors (CoC) to resolve the issue. The IP and the CoC decide whether the entity with stressed assets can be revived or need to be liquidated. In case, they decide to sell the assets, then the lenders have to decide whether they are ready to take a “haircut” or not. A haircut is a difference between the loan amount and the actual current value of the asset used as collateral. In many cases, creditors have to take large haircuts to settle the debts. In fact, the first case which was resolved under the new system after the removal of multiple bankruptcy and insolvency laws in India saw the lender taking a large haircut. In the Synergies Dooray Automotive Ltd case, debtors had to take a 94% haircut. The Insolvency Resolution Professional is the key figure who coordinates the efforts for settling the matter. IPs work with the promoters to find a way out of the mess and help them recover their investment. However, in some instances, it has been seen that the relations between both entities have been far from being cordial. In fact, in AML Steel Ltd and Rolex Cycles Pvt. Ltd cases, the NCLT benches in Chennai and Chandigarh respectively, had to warn the promoters against intimidating the appointed IPs. The court also had to order police protection for the professionals. This is a serious issue and authorities must find a way to eliminate the possibilities of such issues in the future. There are some loopholes in the new code which has resulted in it being questioned in the court on at least four occasions. In all four instances, the Supreme Court of India had to decide on the legality of the new regulation. This proves that there are still some gaps in the code which need to be plugged as soon as possible. The government can choose to bring in amendments or take recourse to other constitutional methods to make the relevant changes. The statistics in the ICRA research indicate that investors trust the new law to make recoveries. However, the present infrastructure of the NCLT and DRT is clearly not geared up for dealing with the workload. It is another reason for the delay in settling cases. According to the Insolvency and Bankruptcy Board of India (IBBI) website, there is only one registered information utility in the country so far. The government will have to strengthen the infrastructure and fill the gaps in the Insolvency and Bankruptcy Code if it wants the law to be more effective. This will go a long way in addressing the problem of insolvency and bankruptcy in India. Amyr Jones is the lead legal expert at Ahlawat & Associates, who is one of the best Law firms in India, He is a passionate writer and loves to help peoples in all aspects of legal terms.